Tupperware parties became popular in the U.S. following World War II when its creators and distributors realized that home parties were more effective in promoting the product than conventional department store promotion. 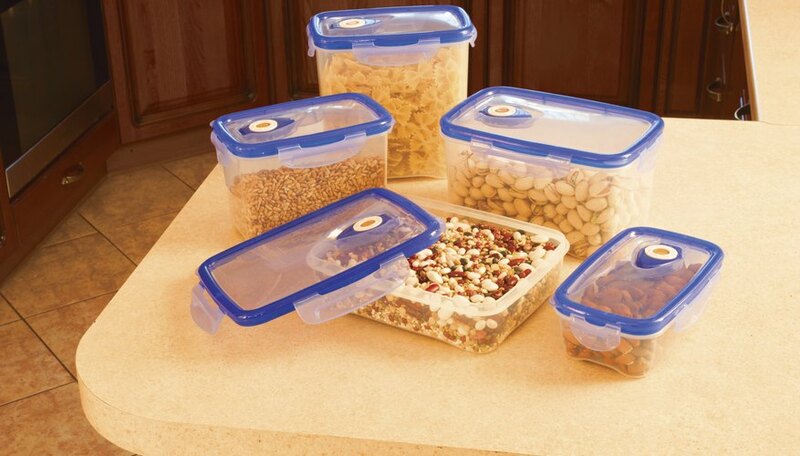 Tupperware parties allow friends, neighbors and coworkers the opportunity to sample and potentially purchase these plastic containers. In the three-minutes game, the host sets a timer for three minutes. Players sit in a circle and raise their hands to ask the host questions related to selling the Tupperware. The host nods or point at a guest to acknowledge he can ask his question. While the question is being asked and answered, the participant who asked the question holds a wrapped gift containing a Tupperware container. The person holding the container when the timer goes off is awarded the container. This provides the players incentive to ask as many questions as possible. If a player seems especially interested in the host’s work, then the host may invite that person out for an informal discussion. In the nickel game -- a game from the early days of Tupperware parties -- an open Tupperware container is placed on the opposite end of the room. The party forms two teams and one leader is chosen for each team. The leader runs across the room with a nickel between his knees and attempts to drop the nickel into the open bowl. This player then runs back to the line and the next person in line runs forward, also with a nickel between the knees. The first team to get all its nickels in the bowl wins a prize. For the penny bowl game, give each guest a penny at the end of the party. Present everyone with two options: She can receive a dollar off one of her purchases or she may choose an item from a bowl filled with trinkets such as pens and key chains. Attached to each of the trinkets is a piece of paper that says one of two things. Half the trinkets say, “Free gift” and the other half say, “Party assistance!” A recipient of either note gets to keep her trinket, but the recipient of the second note also has the host’s word he will assist her in hosting her own Tupperware party. In the Tupperware scavenger hunt, hosts provide guests split up into teams with a list of clues leading them to containers hidden throughout the venue. In the Tupperware potato party game, the host contacts each guest before the party and asks her to bring a single potato. During the party, the host awards points based on specific characteristics of the potato. For example, red potatoes may receive 25 points while brown potatoes receive 10 points. But the largest number of points goes to anyone who brought her potato in a Tupperware container. Prizes are awarded to those who score the highest after all the points have been tallied. In a variation on this game, players each bring an apple and combine the apples to make applesauce after the game is over. Amber Ostrich Estate Sales: Vintage Tupperware -- Remember the Tupperware Party Games?